On Saturday night, Little Lake Musicfest attendee Travis Reid was called on stage by Musicfest staff, who said they had found his lost credit card... or had they? When he took the stage, he was handed the microphone and asked his girlfriend Alisha Michelle Springer to come up on stage. 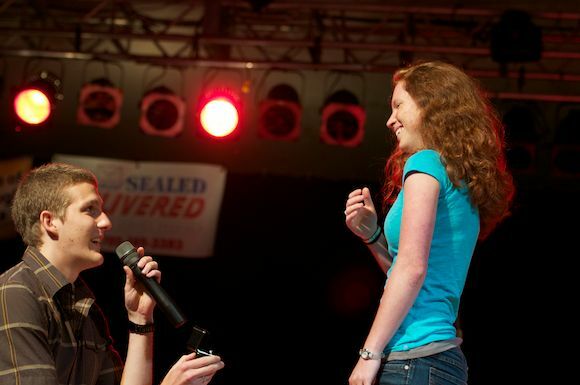 He then got down on one knee and proposed to her, much to the delight of the audience. She said yes. Well done Travis. Congrats to both.